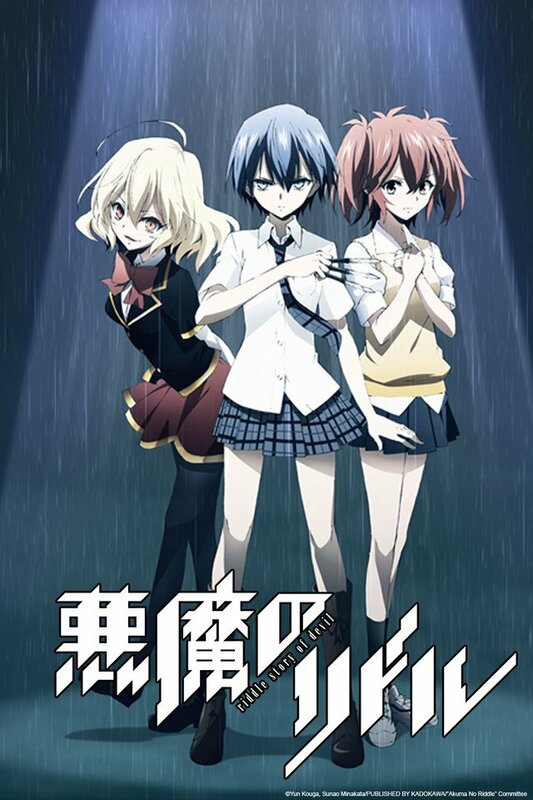 Distributor Anime Limited have been fairly quiet surrounding the release for Riddle Story of Devil (Akuma no Riddle). Years have gone by and still no news for the title aside from pre-order listings appearing and delisting. Today we have discovered via social media that Riddle Story of Devil will no longer be released for the UK & Ireland on Blu-ray & DVD. The reason is due to the rights no longer under their name. Tokaku Azuma is a heartless teenage assassin on a mission of death. Shes been sent to a prestigious, all-girls boarding school to compete in an assassination game against eleven other beautiful killers. Their heinous mission: send the innocent and cheerful Haru Ichinose to an early grave. But when Tokaku finds herself strangely drawn to her intended target, she must utilize her lethal skills to keep her new friend alive and Haru must place her life in the ruthless, cold-blooded hands of the very woman sent to kill her. Riddle Story of Devil was announced by the distributor for home video release back in early November 2015 alongside other Funimation titles Lord Marksman and Vanadis, Noein ~to your other self~, and Selector Infected WIXOSS. These three of which have been released on Blu-ray. The anime aired in April 2014 from studio Diomedea and director Keizou Kusakawa helmed the adaptation, while the manga its based on was written by Yun Koga in September 2012. The series is currently available for legal streaming through Crunchyroll in Japanese with English subtitles. The five volume original manga source material is available to read from publisher Seven Seas Entertainment. As Weiss once said "But enough of this introductory chatter! Let us hear your tale!". After finishing University studying Game Development and once taking charge of SHU's anime society. Grav ventures on as a News Reporter. If you see that massive legal streaming thread Grav heroically did all that and had consumed many hours of his life. The reason? He was bored. We’ve known about this particular series heading to the UK for months, but now we know the contents of the release! A surprise license announcement from the distributor and a neat treat for folks attending MCM. Anime Limited’s second panel has arrived with some more new announcements and updates. A lot of pushbacks but there’s some cool news for the Silent Voice fans!